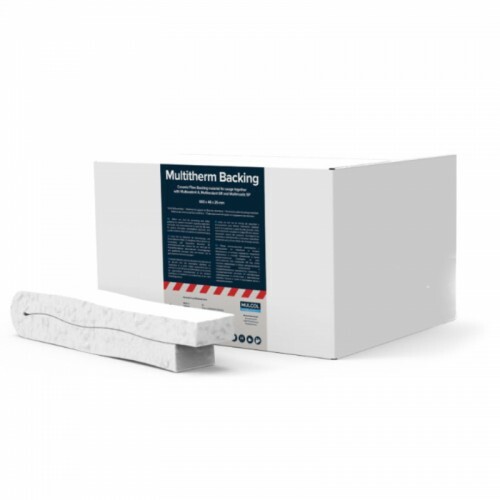 Multitherm Backing is a glass ﬁbre-based, biodegradable ceramic support material that is heat-resistant up to 1260°C. It is used as support material for the ﬁre-resistant sealing of gaps and joints and in combination with Multisealant A, Multimastic SP and Multisealant GR. Multitherm Backing forms part of the Mulcol® Penetration Seal System and the Mulcol® MultiSeal System.